A key question for any Original Equipment Manufacturer (OEM) who may be considering outsourcing production is whether to maintain its existing supply chain or to hand those crucial purchasing decisions over to its assembly partner. From sourcing the raw materials to delivering the finished product, supply chain management can make or break a business. So it’s vital that your EMS partner has a reliable and long-standing supplier base that has the flexibility to produce a wide range of products and that can respond to the inevitable peaks and troughs in demand. Any prospective Electronics Manufacturing Services (EMS) partner should also be able to demonstrate that they employ lean and agile supply management methods that optimise operations without any sacrifice in quality. 1) How do you select your suppliers? A responsible contract manufacturer will have stringent systems in place to assess the capabilities of any prospective supplier, whether that involves asking them to complete a commercial and quality questionnaire or through conducting a formal audit visit. Any potential supplier will then have to demonstrate that they understand the market, that they have the capacity to produce a wide variety of products to meet customer requirements and that they can manage peaks and troughs in demand. Assessment of suppliers doesn’t just stop at the selection process. A reputable assembly partner will also regularly measure its suppliers’ performance to ensure they are meeting key targets related to quality, delivery and cost. 2) What’s your approach to procurement? Some assembly partners may opt to segment their procurement by creating new component part identities for each new customer or product that they handle. However this case-by-case approach can lead to problems with duplication, inconsistencies in pricing and widely varying quality levels. 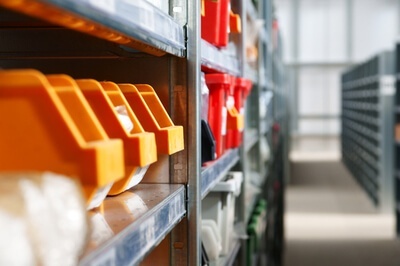 If your prospective EMS provider adopts a commodity-based approach to buying, then their focus will be on grouping all parts of a similar nature, regardless of the customer or product. Partnering with companies that employ buyers with specialist commodity skills can offer many advantages - encouraging deeper knowledge of the product and the market, facilitating economies of scale and ensuring the flexibility to be able to predict (and manage) any fluctuations in availability or price. 3) How do you ensure product quality? Inspection and verification is key to ensuring the quality of any component. On receiving a new part for the first time, an assembly partner will carry out some form of first article inspection to ensure it meets customer requirements. It’s also good practice to carry out a further inspection on receipt of a batch of goods. If any part of the batch appears suspect then it may be necessary to increase the level or frequency of inspection. 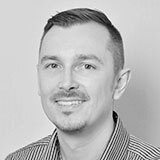 The introduction of spurious parts into the supply chain is another area of vulnerability which your assembly partner should be looking out for. Counterfeit or substandard components can often enter the supply chain through the grey market. And while they may look like the genuine article, once they’ve been introduced, the cost of replacing these faulty parts can be prohibitively high. 4) How do you manage obsolescence? Obsolescence is a major threat to the supply chain, so it’s crucial that an assembly partner can show that they are actively monitoring the market, that they are committed to keeping their clients informed of any changes and that they have contingency plans in place. A responsible EMS partner will also be keeping a close eye on the financial health of its suppliers - watching out for any changes of ownership or any variation in business conditions that could potentially impact on production. 5) How do you stay abreast of regulations? Rules around the use of chemicals and minerals are subject to constant change, so it’s vital that your EMS partner is cognizant of all current and proposed legislation that could impact on your supply chain. They should also scrutinize your bill of materials to ensure that all parts are compliant before production gets underway - and advise you if any items may need to be modified or replaced. The decision to hand over responsibility for your supply chain to an EMS provider is not one to be taken lightly. However if your prospective assembly partner can demonstrate that they have a stringent supplier selection process, a commodity-based approach to procurement and a keen eye for the latest industry legislation then you can be reassured that your supply chain management will be in safe hands.